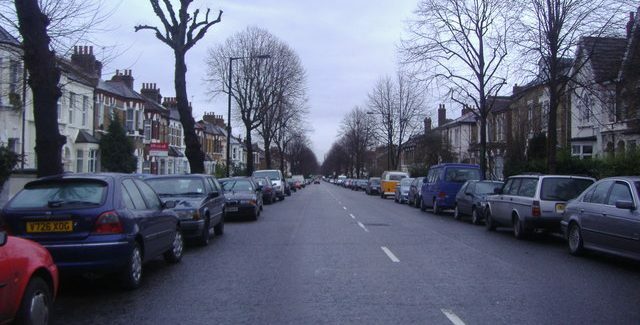 This is Barry Road. It is the long straight ugly, polluted, dangerous speed-track from the Plough to the Rye. Only a council could be astonished to learn that drivers go fast on it. Average speeds exceed 24mph. Some people are going more than 30. Well I never. So that’s why it’s so smelly and dangerous and cyclists don’t use it. The only people I have seen cycling up Barry Road were on the pavement. Residents are fed up with the smells and the danger. Something needs to be done about the flagrant and continuous breaching of the 20mph limit. A brilliant idea has just struck me. Let’s put the Southwark Spine cycle route along Barry Road and then we can use the money set aside for the Spine for cyclist-unfriendly traffic calming. Let’s put vile cynicism aside. I’m sure this plan can be improved. Here is the consultation: https://consultations.southwark.gov.uk/environment-leisure/barryroad/. I found it hard to understand but the vital missing fact was that the top of Barry Road is the south end and the park end is the north.